By the time he draws the curtains down on his career, the National Football League (NFL) would have forged another legend in the game that will be talked about in times to come. That is the current trajectory that can be foretold when one looks at the career of Austin Hooper. He is an American football tight end for the Atlanta Falcons. He is not just another NFL professional player rather Hooper stands to be among the best in his class. Stick around as we take you on this tour to know about this young and vibrant athlete. Austin Manuel Hooper was born October 29, 1994, in San Ramon, California to his parents Michael and Vivian Hooper. Austin has a younger sister whose name is Alexis and a brother called Justin. He attended De La Salle High School in Concord, California where he played football as a quarterback during his freshman year. In his senior year, he played as a defensive end recording 63 solo tackles and 27 assists, with an average of 3.3 tackles in each game. His success in high school football led to another in college and finally led to his going professional. Austin enrolled for college at Stanford University where he played college football as a tight end and majored in Psychology in his academics. As a first-year student, he played 13 games finishing off with a total of 40 receptions for 499 yards and two touchdowns. In 2015, his second year in Stanford, Austin had 34 receptions for 438 yards and six touchdowns. He was made a finalist for the John Mackey Award and First Team All-Pac-12 for 79 yards and a touchdown in an upset of University of Southern California which ranked No. 6 in the country at the time. In 2016, he announced he was forgoing his remaining two years in college to enter the 2016 NFL Draft after a careful deliberation with his family and his coach, David Shaw. During his pre-draft preparation and workouts, he impressed scouts with his performance and came third among all tight ends in the 400 yards dash, fourth in the bench press, fifth in the three-cone drill. Also during the pre-draft preparation, Austin also took part in Stanford Pro Day and performed positional drills, greatly impressing scouts and team representatives. His hard work paid off as he finished in high ratings among the other tight ends for the NFL Draft. 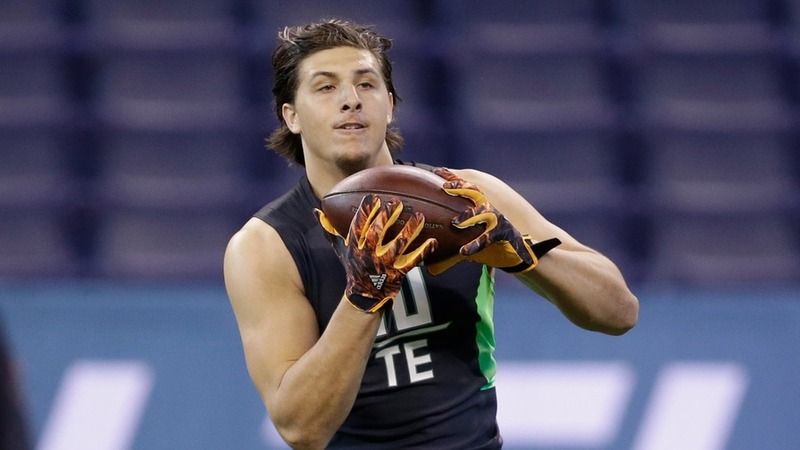 During the 2016 NFL Draft, Austin Hooper was selected by the Atlanta Falcons in the third round and offered a four-year deal. The deal as at May 5, 2016, was worth $3.21 million with extra bonuses worth thousands of dollars. He met and reunited with former teammate Levine Toilolo and Jacob Tamme in his new team and uring his first game with Atlanta Falcons, he had a 14-yard pass by his teammate, Matt Ryan. In a victory against the Carolina Panthers in October, he had a touchdown on a 42-yard pass by Matt Ryan. He, however, sustained a knee injury later in December and was sidelined to recover, finishing the season with an overall of 19 receptions for 271 receiving yards and three touchdowns in three starts and 14 games. At the first game of the 2017 season against the Chicago Bears, he made two receptions, for a career-high 128 receiving yards and caught an 88 long yard touchdown leading to his team’s victory. Most successful athletes have an athletic history. For Austin Hooper, his athletic gene is a family inheritance as his father, uncle, and brother are all athletes. 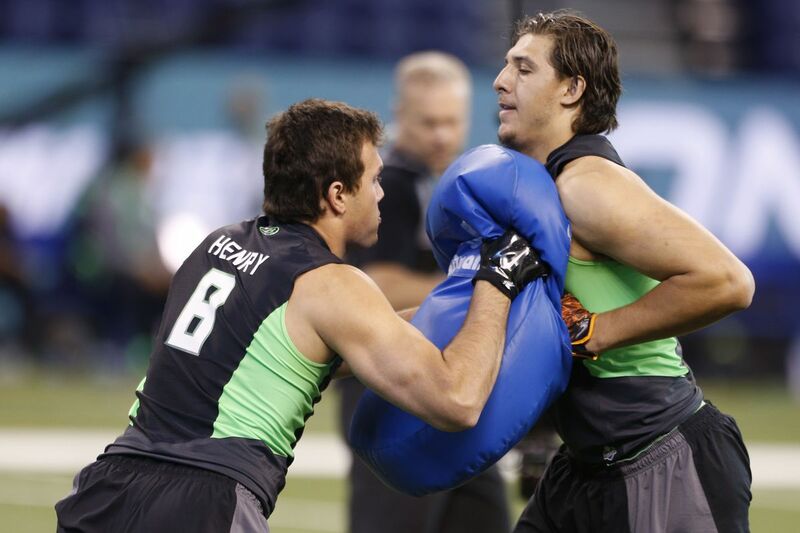 His father, Michael Hooper, played football for San Diego State University. His uncle, Greg, played college football as a fullback at Stanford University from 1979-1982 and presently his brother, Justin, plays baseball at University of California, Los Angeles. Austin Hooper has a lot of enviable features. Apart from being handsome, he has lovely eyes and as if all of this isn’t enough, he has the height that complements his good looks. He is incredibly tall standing at 6 ft 4 in – a height many scouts and team representatives look out for in new recruits. Austin weight is also a huge advantage as he weighs 254 pounds.